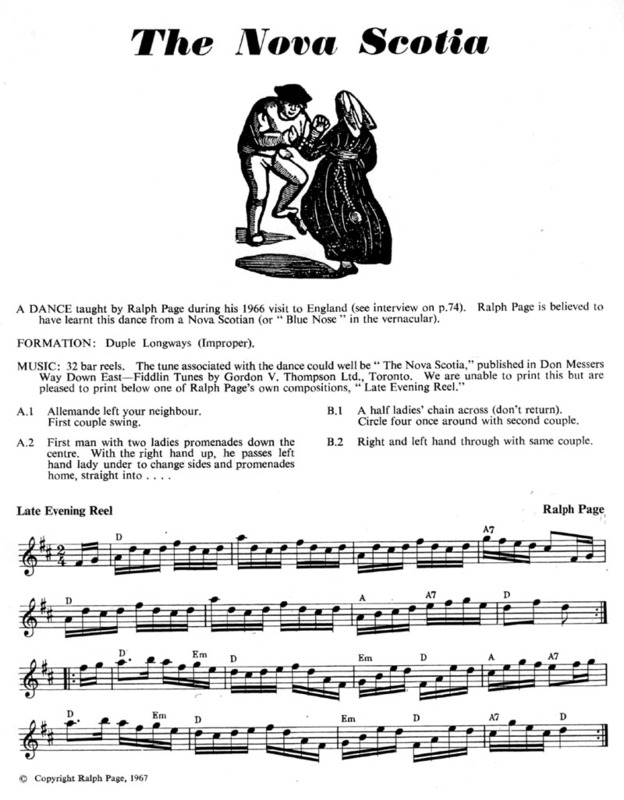 The dance was published in Zesty Contras in 1983 with the name "The Nova Scotian" and the heading "Adpt by Folk Process". That is the version I had documented above. You can see the earlier version below. #1 Lady's Allemande has been changed so that she flows into the Swing instead of having to turn around. #2 Lady is helped into position for the Ladies' Chain by #2 Man helping her Cast into place.